The social survival training program. Inter-generational dialogue and peer learning. Dr. Hilda Tadria is Ugandan gender and social development specialist and a co-founder of the African Women’s Development Fund (AWDF). She has a degree in Sociology from Makerere University, an MA in Social Anthropology from Newham College, Cambridge, UK and a Doctorate in Social Anthropology from the University of Minnesota, USA. She has been a consultant on gender, institutional management and social development at the World Bank, UNDP, UNIFEM, the Ugandan government, the Canadian International Development Agency (CIDA) and NOVIB. 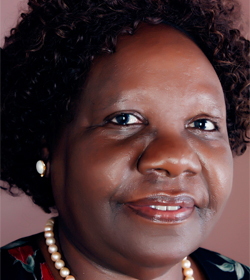 She was an Associate Professor in the Department of Sociology at Makerere University. While she was lecturing at Makerere University she founded the women’s NGO known as Action for Development (ACFODE). Tadria has also served as a Special Advisor on Gender to the United Nations Economic Commission for Africa based in Addis Ababa, Ethiopia. She has extensive field research experience in participatory and qualitative research methodologies both at rural community level and corporate organizational level. She has published a number of papers on gender and development. 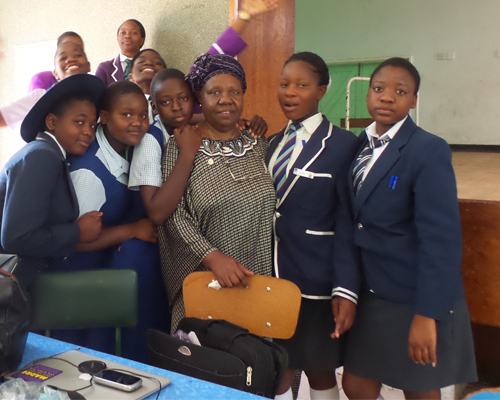 Sustaining a mentoring programme for young women through the different inter-generational programmes, workshops and trainings.